Secure your place now for our popular ‘Teaching Cross-Cultural Competence’ courses in the autumn! 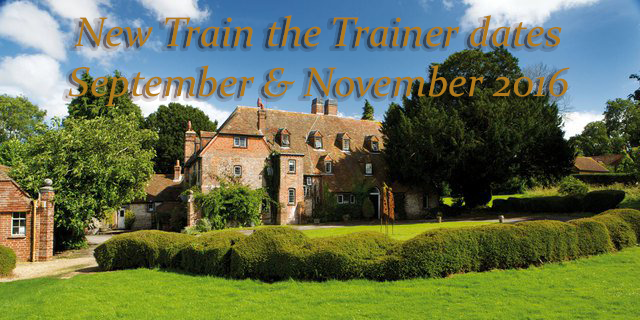 This autumn Richard Lewis Communications offers Level 2 ‘Train the Trainer’ courses with special focus on the in-depth introduction of the Lewis Model and its practical integration into the participants’ individual training services. During the course in September we will be introducing the new 360 degree feedback feature of CultureActive, besides the interactive demonstration of our Cross-cultural Dialogue Mat and other training facilitation tools. If you are an experienced cross-cultural/behavioural skills trainer or the responsible person for in-house competence development within your organisation and you wish to expand your expertise with a practice-oriented and world-wide recognised concept, then don’t miss out on your chance to become the next RLC Cross-Culture Licensed Partner! To book, or for more information, please contact Caroline Lewis at caroline.lewis@rlcglobal.com.